Every other Sunday I give thanks to the curators who have featured my products in their gorgeous collections, also known as treasuries, on Etsy. Please take some time to view these creative products! Today I'm pleased to introduce to you Rosi with Illusion Creations. Please take some time to meet her and view her beautiful creations! Well, I'll start by saying that I'm a retired senior who has always enjoyed making things. I retired from the corporate world 3 years ago. I have 3 wonderful children and 3 even more wonderful grandchildren and expecting another in the Spring. While visiting with my sister-in-law at Christmas 2 years ago, she showed me these beautiful ornaments she had made and I thought, "ooh, I can make those and give them as gifts", which I did. Everyone was amazed by them and kept telling me you should sell them. I had come across Etsy while doing some Christmas shopping. By the time I decided to opened a shop it was after the holidays, too late for the ornaments, so I opened listing floral arrangements. By August, I was ready for my ornaments. My shop has a variety of items. 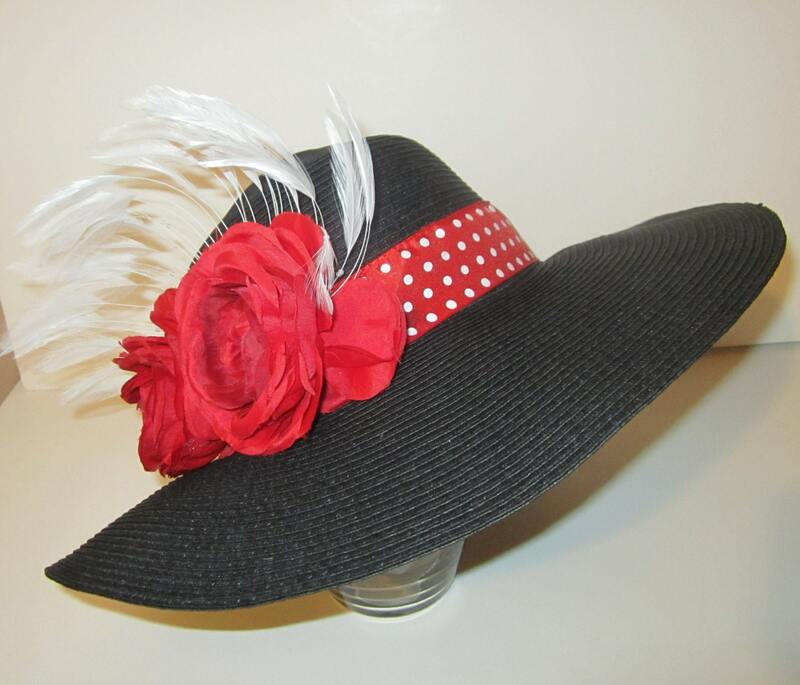 Besides my floral arrangements & Christmas ornaments, I also sell frames, mirrors, boxes, dressy hats for women, etc. I also have inspirational poems which I've written myself. My creativity has no rhyme or reason. I could be sitting watching TV and something pops into my head, this also happens when I'm reading before I go to sleep. The item I'm most proud of is my inspirational poem because I wrote it myself. One of the lessons I've learned from selling wholesale is that little problems become big problems, and big problems become bigger problems. When I started selling candles, I did so because 1.) I found I was making too many to burn and to give away; and 2.) my son had graduated, my child support went away, and I needed the additional income. When I started selling wholesale, I did so because I thought the additional revenue generated from larger sales would bring in additional income. What I learned firsthand from starting my business was that it takes money to make money. Oh, I knew that, I thought to myself. But I didn't realize at the time that little of the sales generated actually made it back to my personal cash flow. Revenue generated simply went to purchasing more supplies to generate more sales. So, it should stand to reason that it would take more cash flow to begin selling wholesale and that it would take time for everything to balance. Bigger orders simply means more revenue being spent for supply inventory. Lesson learned from big problem #1. Along the way I've learned lessons from problem #2 - your product has to be immaculate. Not that mine has ever been substandard, but sometimes I'm too close to it to see the minor imperfections a shop owner would see. (Which is also why I always have someone proofread any truly important piece of written word at work!) So, I've quickly learned to improve the packaging of my product and how it's shipped. People want hand crafted items, as long as the items don't look hand crafted. This weekend I lost over $375, and I learned hard lesson #3. There were are few imperfections and an item was broken; the buyer was completely unsatisfied and would not accept replacement products. She only wanted a total refund. And I had no policies to protect me. No policies about refunds. No policies about returns. I called the buyer to try to correct the situation, because from my perspective every argument I was given could be fixed. But it didn't matter. From her perspective, I needed to play with the big boys. And if Yank** Cand** could give a total refund, so could I.
I'm not here to cry (although I've done a lot of it), and I'm not here to encourage negative conversation about how (COMPLETELY) unreasonable she was. But I am here to share the lessons I've learned. I know the moans and groans we all experience when the individual buyer complains, wants a lower price or refund, or leaves negative feedback. But until you are able to deal with (and afford) the "small" problems the individual buyer brings, it's going to be challenging to deal with (and afford) the "small" problems the wholesale buyer brings. So, now I have my policy on refunds. I have my policy on returns. Without trying to be unreasonable, I don't offer them, but will offer replacement product in its place. The policy will be written on all order, invoice, and shipping documentation. At least until I can afford to lose another $375. Every other Sunday I give thanks to curators who have included my products in their treasuries, shopping collections on Etsy. Please take some time to view these creations and visit the other stores and their wonderful items! Which is your favorite? Decorating with Candles - Holiday Style! Most of you probably have your homes decorated to the hilt this holiday season, but there may be a mantle or tablescape that needs just a touch of warmth. That's where candles can come to save the day! While boutique, fragrant candles are meant to stand on their own, inexpensive candles from your local low cost department store can be decorated with a few simple items from your craft store to create a unique look for your home! Cranberries are an inexpensive and colorful decoration this holiday season. 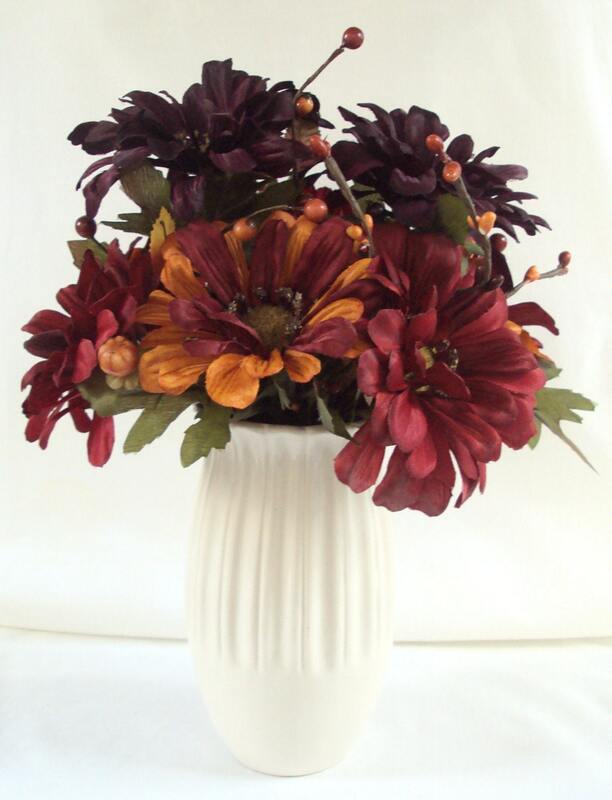 Find a shapely vase, fill with cranberries and water, and top with a tea light. For a more sophisticated look, fill a bread tray or other piece of your coordinating dinnerware with cranberries and set a few small pillar candles evenly spaced. To create this even more elegant look, place roses at the bottom of a straight hurricane vase, fill two thirds with water, and place a handful of cranberries, which will float to the top. Set your tea light atop and voila! Even though this concept is not a holiday decoration, it could be easily converted by using colored sand to coordinate with your festive decor! 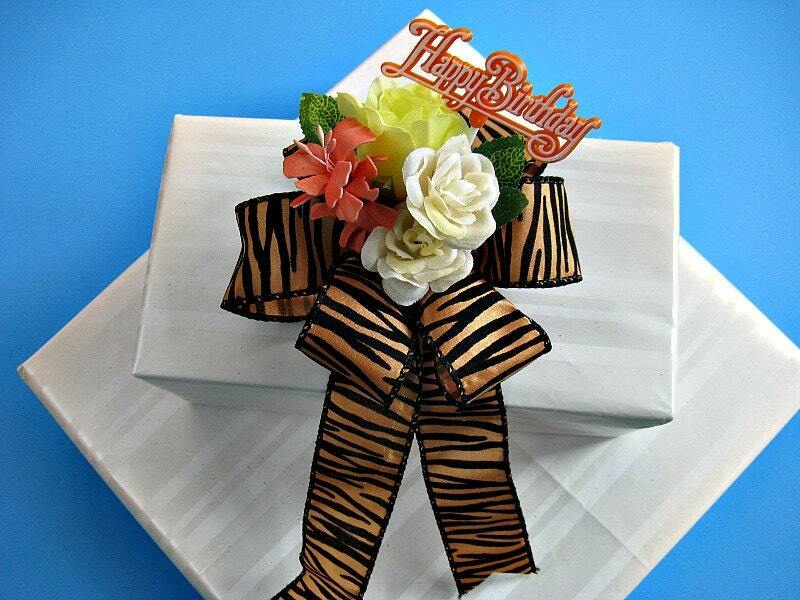 If your look includes a lot of greenery, wrap leaves around pillar candles and tie with a colorful bow! I think this would be lovely in Hanukkah blues! For a fun look, use a hot glue gun to adhere candies to a pillar candle. I love the look of the peppermints, but I think the look in ribbon candies (my favorite) would be uniquely elegant! And for the simplest look of all, use a simple white plate with simple white votives and candies sprinkled around. 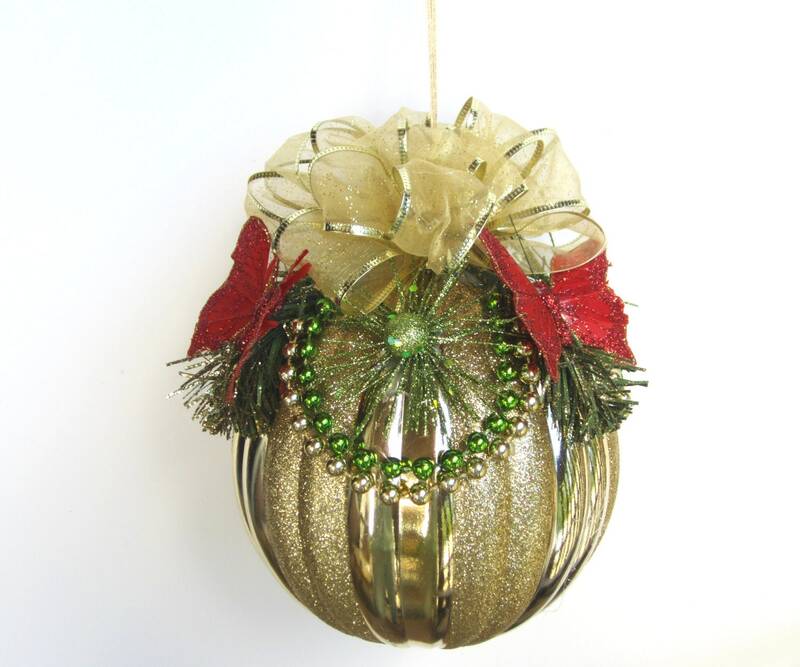 Less than 60 seconds, and you've created a festive centerpiece for your home! For more ideas, please see my Pinterest board. 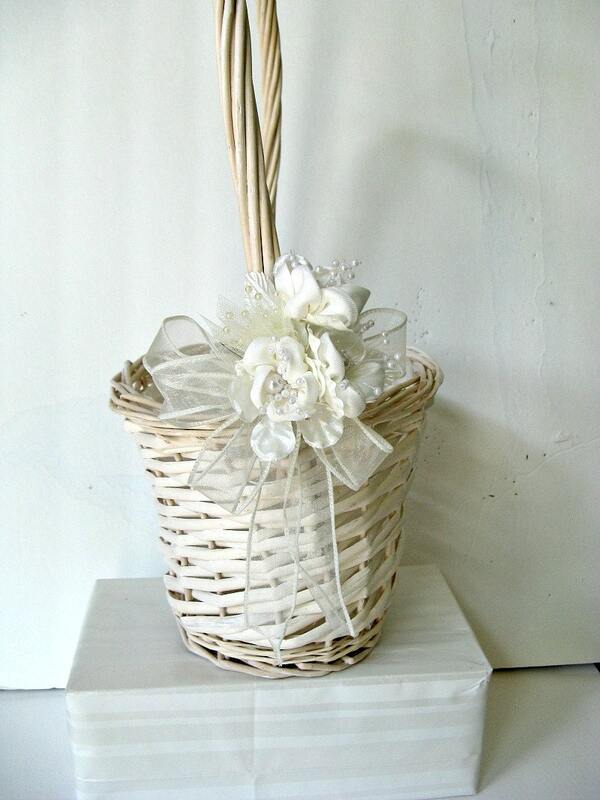 Today I'm pleased to introduce to you Janet Davis of JD's Bow Creation. Please take some time to learn more about her and her wonderful creations! I am retired from a local hospital where I worked for 32 years as an Administrative Assistant. I started my business quite by accident and for something to do with my free time. A friend and I decided to start up a baking business so we signed up for 6 local craft shows. We made a variety of candies and brownies, cookies, coffee cakes, etc. and decided to sell gift trays filled with truffles, assorted chocolates and fudge. The trays weren’t selling very well so I learned how to make bows to put on the trays hoping to market our business a little better. The bows were such a hit that we started selling gift trays by the bow that was on them instead of what chocolates were on the tray. At the end of our craft show run, my friend decided that we weren’t making enough to cover our expenses so we abandoned the baking business. 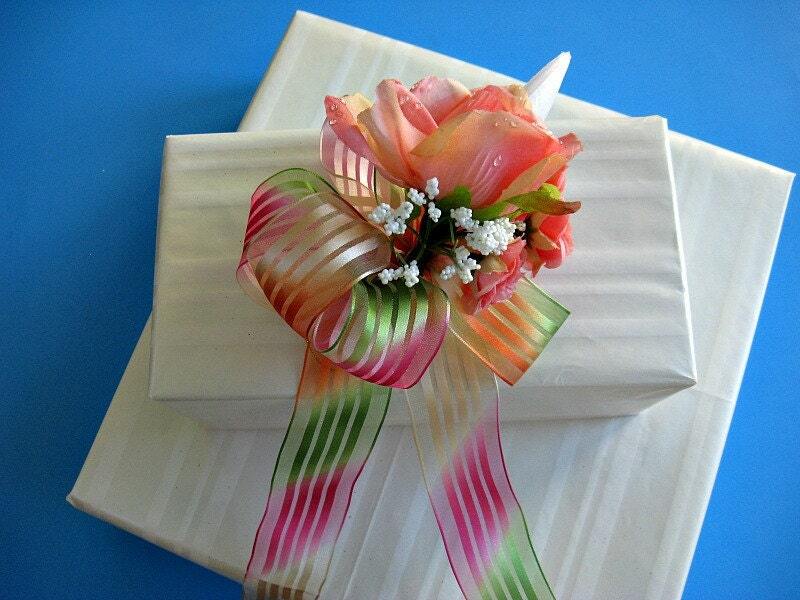 I had so much fun making bows and there was enough interest for my bows that I wanted to start a different business. Another friend told me about Etsy so I checked it out. I set up my policies and shop information on December 27th but officially opened my “doors” (complete with inventory) on January 15, 2012. I started with Christmas bows and expanded to Valentine’s Day, St. Patrick’s Day, Weddings, Baby showers, Memorial Day/Fourth of July, Birthdays, and Special Occasions such as house warming gifts, graduations, anniversaries, etc. My mom taught me how to knit, crochet and sew and I taught myself how to do many more crafts. I helped my sister, who has her own floral business in her home, make corsages and boutonnieres for weddings. I also taught myself how to frame pictures by picking out matting, glass and frames. I discovered I had a good eye for color and with my knowledge of other crafts, my artistry started shining through. 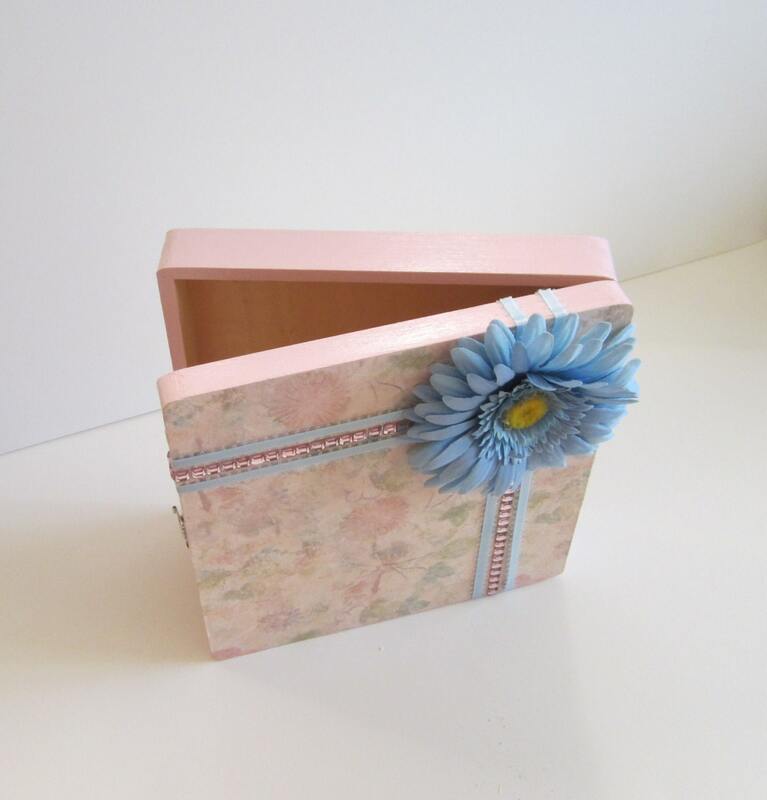 My designs start with one item –it could be a flower, button or ribbon – and grows from there. 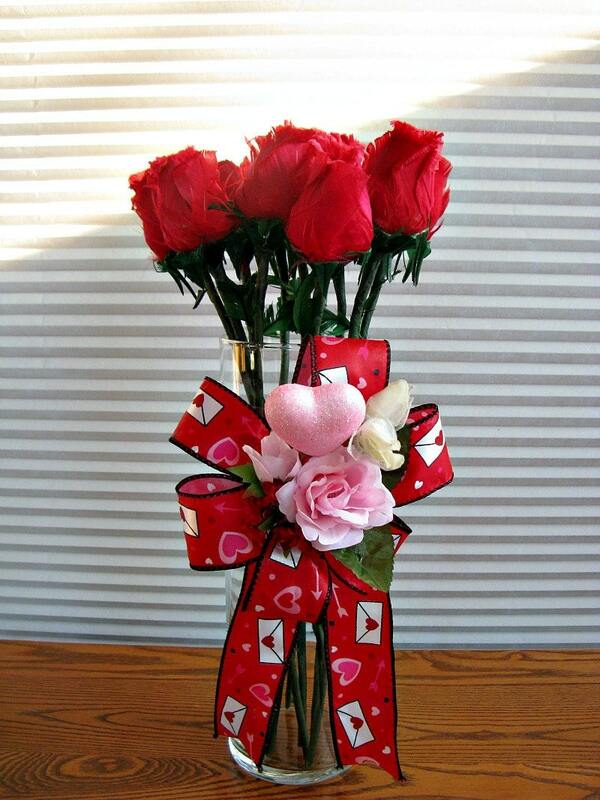 I never have a set plan of what my design will look like but it ends up in a bow. While not new, this is a concept I've been working on over the past year. As a gift that keeps on giving, my pine cone firestarters have been triple dipped in my most popular seasonal fragrances and are wicked the entire length of the cone. 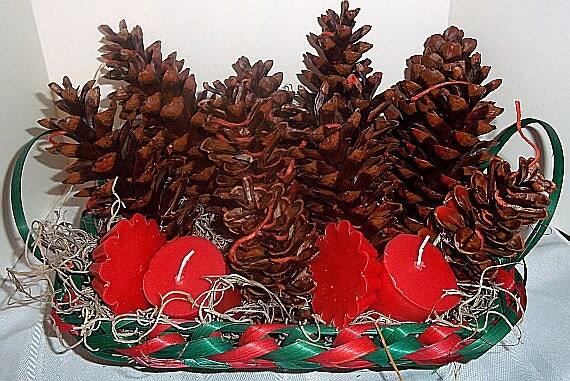 My pine cones have been locally harvested and dried over a year to light perfectly and to start your home fire with a fragrant burst!As with my candles, the wax of the pine cones is a custom blend of paraffin and soy waxes. Paraffin is used to hold the strong colors you see and scents you smell. Soy is used to create a product more eco-friendly to our environment. Together, a quality product is created and tested to be the best possible for you and your home. To ensure your order can be filled and mailed to your recipient by Christmas, please place your order no later than December 10th. 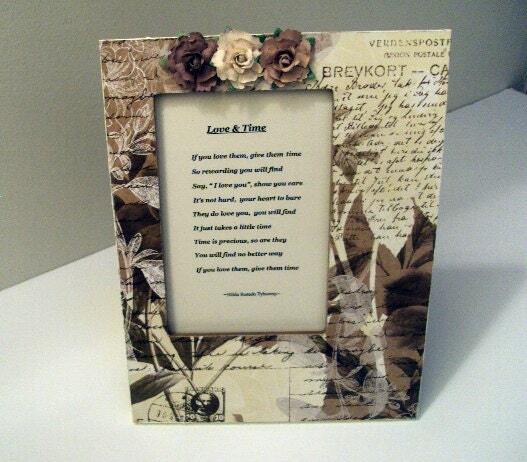 Looking for a personal, affordable gift for your neighbor or coworker? Look no further than the bath & body fragrances available at D'Lites by Dorene. Gift set of lotion bars, rose petal soaps, and candles - New! These gift sets are the perfect accompaniment to your powder room or indulgence for a romantic bath. Create your ambiance by lighting this cute 2 oz candle, then place rose petal soaps in a pretty soap dish with these small lotion bars nearby. Rose petal soaps are made to be disposed after each individual use and provide a dainty look for your powder room. 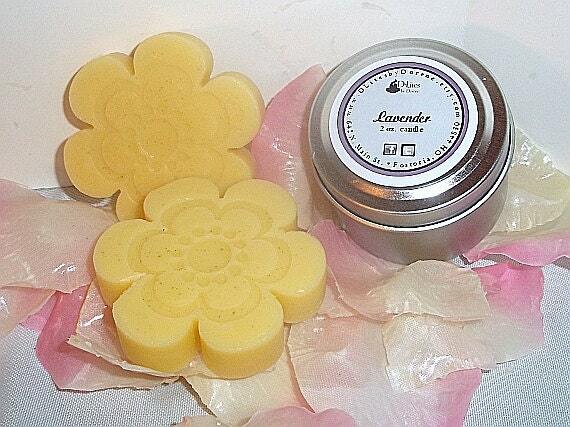 My lotion bars are made with locally harvested beeswax and emolient shea and cocoa butters. For a romantic evening, light the candle and float the rose petals in the bath tub for a relaxing soak. Let the lotion bar melt on your skin for a light and smooth protective barrier on your skin. All of this is yours or a unique gift for only $16. Check my website for color coordinated fragrances and gift ideas. 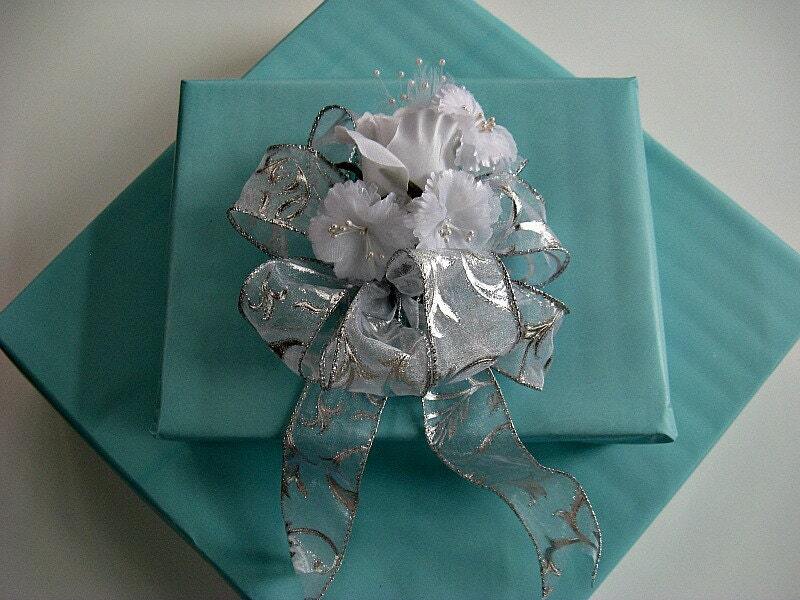 All gifts can be mailed to your recipient and can include a gift tag. Fragrances of the Month: Cinnamon & Balsam, Snickerdoodle! Throughout December, I'm offering my two most popular holiday fragrances at 10% off! Cinnamon & Balsam is a custom blend of two popular fragrances found this time of year. If you like a strong, pine fragrance blended with cinnamon spice, these candles are for you! Cinnamon & Balsam is a good, modern fragrance for those who like to experiment and be on the cutting edge. Snickerdoodle is also a custom blend based upon the classic Christmas cookie (well, at least it is in my household!). Snickerdoodle is a good fragrance to create the cozy, comfort of home feeling we tend to gravitate toward this time of year. For information on product availability and prices, please see the Fragrance of the Month section in my Etsy shop! Every other Sunday I give thanks to the curators who have featured my products in their beautiful shopping collections on Etsy, called "treasuries." Please take the time to visit these gorgeous collections and start your holiday shopping!